NEW for 2018 The specialized backwards tilting stand of the NexiusZoom and NexiusZoom EVO stereo microscopes for gemology applications offers 30W halogen transmitted illumination towards the specimen at oblique angles. This enables the examination of your gems in perfect darkfield conditions. 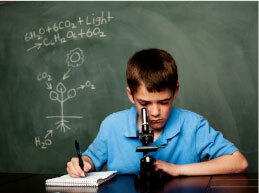 Our Novex Explorer microscope is the entry level stereo microscope for hobbyists, children and lower education. This light weight, cost effective, microscope enables users to see any object from stamp to ant in bright crisp image quality. Due to its small size and weight the Novex explorer is ideal to take into the field. The LED's produce little heat, making them safe for live specimen and fingers of users. The ideal product as a first serious step into microscopy. Supplied in Styrofoam case with eye cups and dustcover. Euromex industrial microscopes are used in a wide range of industrial applications as they provide high precision & accurate results. 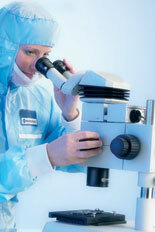 Metascientific.com, as the leading UK distributor for Euromex microscopes, can supply a wide range of microscopes for inspection of printed circuit boards (PCB) and quality control purposes as well as for clinical use at Veterinary clinics, surgeons and referral centres. 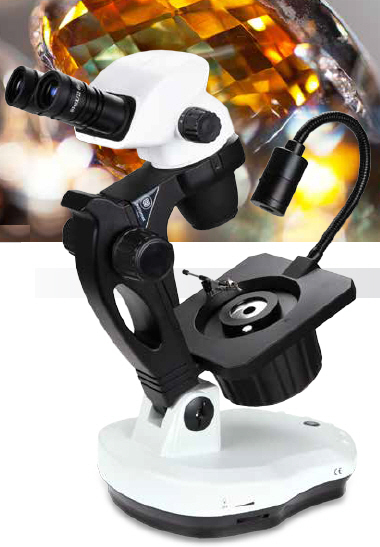 The stereo zoom microscope is often used to study the surfaces of solid specimens or to carry out close work such as dissection, microsurgery, watch-making, circuit board manufacture or inspection, and fracture surfaces as in fractography and forensic engineering. 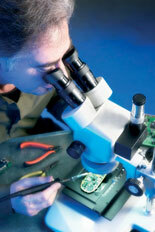 Due to its high contrast and wide field of view, stereo microscopes are perfectly suitable for this type of use. The E- and Z-series microscopes from Euromex are used for research and quality control due to their brilliant optical performance. Unlike the stereo microscope, the compound, or binocular, microscope has two systems of lenses for greater magnification, the ocular, or eyepiece lens that one looks into and the objective lens, or the lens closest to the object. 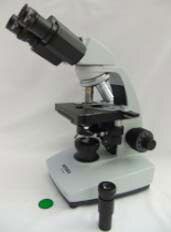 These microscopes are ideal for applications needing true depth perception such as the inspection of metallic finishes, Binocular microscopes such as the Euromex F & G Series bright field biological microscopes are routine and research microscopes for use in science and biological, medical and industrial laboratories. For education needs at Universities, 6th form Colleges, Colleges and Schools, we have microscopes from basic Student models such as the Novex MA Macroscope through to the superb Euromex Oxion range. For amateur biologists and hobbyists in general, Novex provide robust, affordable microscopes with excellent optical and mechanical construction. What better way to get someone interested in microscopy than showing them a human hair or the life to be found in pond water when placed on a slide and covered with a cover-glass? Our Novex BBS Phase Contrast Microscope is specifically designed for the analysis of asbestos fibres. 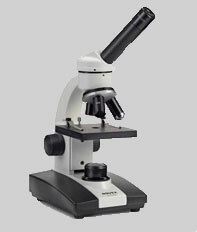 Metallurgical microscopes are used for research of metal and plastic surfaces, also using polarized illumination. Polarisation microscopes are used for mineralogy, petrography and crystallography. They are also suitable for orthoscopic and conoscopic research, research of polymers and research of other transparent materials with a double refractive index. This highly modified B-Series microscope is a positive phase contrast microscope with 10X Brightfield and 40X Phase objectives, Walton & Beckett reticle Type-22G and, optionally, a stage micrometer with 0.01mm divisions. Metascientific.com work in conjunction with L.J. Smith & Son who have been in business for over 40 years. They are CLEAPSS listed and their work is of a high standard and comes highly recommended. Prior to technical servicing, Mr. L.J. 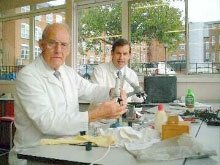 Smith worked as an apprentice, manufacturing optical lenses; in total he has over 60 years working in the optical business. L.J. Smith & Son currently service microscopes of all makes for Schools, Colleges, Universities, Industries, Veterinary Establishments and Hospitals. As well as servicing they now work with Metascientific.com selling new or re-conditioned instruments. they can also supply sub-stage illuminators, bulbs for all types of illuminator, together with colour video camera systems and monitors as required at highly competitive prices. L J Smith & Son will be pleased to supply a free quotation to service and repair your microscopes if you would care to contact us.